A fort city located in Raigad district of Maharashtra State in India, many of the tourists who visit Karnala are amazed by its striking natural beauty. Its main attractions are an ancient fort and a bird sanctuary that offers plenty of opportunities for trekkers and bird-watchers to have a wonderful time in this region. People who wish to go hiking can find the trail leading to the fort very challenging, and exciting at the same time. Birdlife enthusiasts can watch numerous species of birds flying around freely in the bird sanctuary which surrounds this fort. Usually, tourists often prefer to visit this amazing place during weekends. 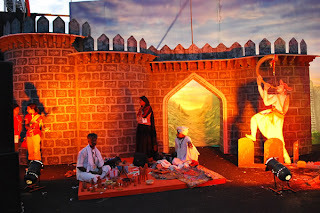 But, there are certain occasions like Maharashtra Day celebration on 1st May, which people never miss out on for visiting this fabulous region. Nature lovers would truly feel blessed to be in this region, savouring its scenic landscapes. They would also be taken by surprise when they come to know about the glorious past of this region. The fort is believed to have been built during fourteenth century, and has seen many power struggles between great rulers over a period of time. Today, the ownership of this place is with Government of India, and authorities have played a major role in preservation of this marvellous site. For domestic and international tourists travelling by air, Chhatrapati Shivaji International Airport would be the nearest point of access. Individuals who choose rail travel can get down at Panvel railway station and can either hire a taxi or take a private vehicle available at a reasonable price. As this region is well connected to major cities and towns of the state, travellers can also find many state-owned public transport buses. Booking a comfortable accommodation in Panoramic Resort located nearby would help travellers to have a pleasant stay while exploring all the attractions of this region.